See If You Qualify For A FREE Website Analysis Below (Worth $197)! is like leaving money on the table! 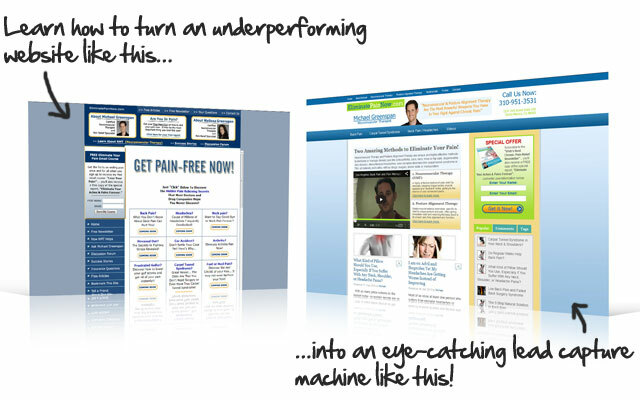 -Do you want to know why your website isn’t bringing you as many leads as it could be? -Are you frustrated by the lack of sales from your online store? -You have 1-8 seconds to get a visitor to take action on your site. After 8 seconds, how many people are leaving your website? Other small business owners have paid $197 (and were happy to do so) to have their website analyzed by one of our Lead Conversion Managers. See If You Qualify For A FREE Website Checkup!